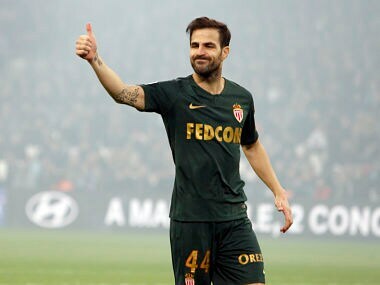 Marseille: Cesc Fabregas got off to a positive start in his debut for struggling Ligue 1 side Monaco after his side gained a hard-fought 1-1 draw with Marseille at a tumultuous Stade Velodrome on Sunday. Fabregas, who joined the Principality club from Chelsea on Friday, struck a composed figured in the midfield as Thierry Henry's side recovered from a shaky start to earn a point thanks to Youri Tielemans' leveller six minutes before the break. Fabregas' arrival on the Mediterranean coast on Friday was the third in January after veteran defender Naldo and France under-21 left-back Fode Ballo-Toure, who both acquitted themselves well on Sunday. The draw was a good result for a team without a fit striker and not enough available players to even fill the substitutes' bench. 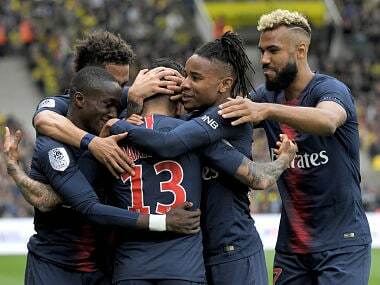 They remain in the relegation zone despite the positive performance and are four points from safety after winning just twice in 10 league games since Henry's arrival in October. 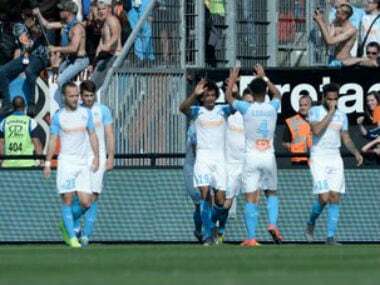 Rudi Garcia's side are winless in eight in all competitions and as well as being well back in the league are out of all three cups after being humiliated 2-0 by fourth-tier Andrezieux in the French Cup last week. Fans head up a banner that read "owners, coach, players... all culpable" and barely celebrated Maxime Lopez's 13th-minute opener, which squeezed under a poor effort to save the shot from Diego Benaglio. Midway through the second half they shouted "ole" when Monaco kept possession and whistled their own players when they won the ball back.